211. Contents of charge. 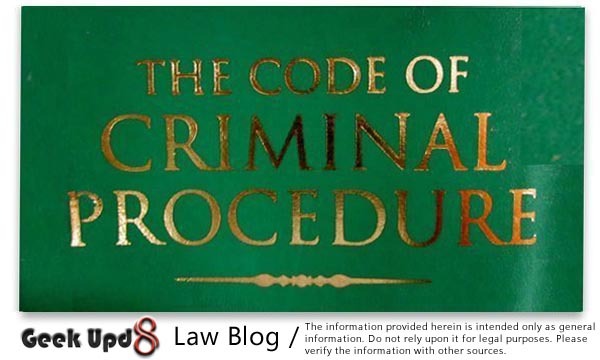 - (1) Every charge under this Code shall state the offence with which the accused is charged. (2) If the law which creates the offence gives it any specific name, the offence may be described in the charge by that name only. (3) If the law which creates the offence does not give it any specific name, so much of the definition of the offence must be stated as to give the accused notice of the matter with which he is charged. (7) If the accused, having been previously convicted of any offence, is liable, by reason of such previous conviction, to enhanced punishment, or to punishment of a different kind, for a subsequent offence, and it is intended to prove such previous conviction for the purpose of affecting the punishment which the court may think fit to award for the subsequent offence, the fact, date and place of the previous conviction shall be stated in the charge; and if such statement has been omitted, the Court may add it at any time before sentence is passed. (a) A is charged with the murder of B. This is equivalent to a statement that A's act fell within the definition of murder given in sections 299 and 300 of the Indian Penal Code (45 of 1860); that it did not fall within any of the general exceptions of the said Code; and that, if it did fall within any of the five exceptions to section 300, or that, if it did fall within Exception I, one or other of the three provisos to that exception applied to it. (b) A is charge under section 326 of the Indian Penal Code (45 of 1860), with voluntarily causing grievous hurt to B by means of an instrument for shooting. This is equivalent to a statement that the case was not provided for by section 335 of the said Code, and that the general exceptions did not apply to it. (c) A is accused of murder, cheating, theft, extortion, adultery or criminal intimidation, or using a false property-mark. The charge may state that A committed murder, or cheating, or theft, or extortion, or adultery, or criminal intimidation, or that he used a false property-mark, without reference to the definition of those crimes contained in the Indian Penal Code (45 of 1860); but the sections under which the offence is punishable must, in each instance, be referred to in the charge. 212. Particulars as to time, place and person. - (1) The charge shall contain such particulars as to the time and place of the alleged offence, and the person (if any) against whom, or the thing (if any) in respect of which it was committed, as are reasonably sufficient to give the accused notice of the matter with which he is charged. 213. When manner of committing offence must be stated. - When the nature of the case is such that the particulars mentioned in sections 211 and 212 do not give the accused sufficient notice of the matter with which he is charged, the charge shall also contain such particular of the manner in which the alleged offence was committed as will be sufficient for that purpose. 214. Words in charge taken in sense of law under which offence is punishable. - In every charge words used in describing an offence shall be deemed to have been used in the sense attached to them respectively by the law under which such offence is punishable. 215. Effect of errors. - No error in stating either the offence or the particulars required to be stated in the charge, and no omission to state the offence or those particulars, shall be regarded at any stage of the case as material, unless the accused was in fact misled by such error or omission, and it has occasioned a failure of justice. (a) A is charged under section 242 of the Indian Penal Code (45 of 1860), with "having been in possession of counterfeit coin, having known at the time when be became possessed thereof that such coin was counterfeit", the word "fraudulently" being omitted in the charge. Unless it appears that A was in fact misled by this omission, the error shall not be regarded as material. (c) A is charged with cheating B, and the manner in which he cheated B is not set out in the charge. There were many transactions between A and B, and A had no means of knowing to which of them the charge referred, and offered no defence. The Court may infer from such facts that the omission to set out the manner of the cheating was, in the case, a material error. (d) A is charged with the murder of Khoda Baksh on the 21st January, 1882. In fact, the murdered person's name was Haider Baksh, and the date of the murder was the 20th January, 1882. A was never charged with any murder but one, and had heard the inquiry before the Magistrate, which referred exclusively to the case of Haider Baksh. The Court may infer from these facts that A was not misled, and that the error in the charge was immaterial. (e) A was charged with murdering Haider Baksh on 20th January, 1882, and Khoda Baksh (who tried to arrest him for that murder) on the 21st January, 1882. When charged for the murder of Haider Baksh he was tried for the murder or Khoda Baksh. The witnesses present in his defence were witnesses in the case of Haider Baksh. The Court may infer from this that A was misled, and that the error was material. 216. Court may alter charge. - (1) Any Court may alter or add to any charge at any time before judgment is pronounced. (3) If the alteration or addition to a charge is such that proceeding immediately with the trial is not likely, in the opinion of the Court, to prejudice the accused in his defence or the prosecutor in the conduct of the case, the Court may, in its discretion, after such alteration or addition has been made, proceed with the trial as if the altered or added charge has been the original charge. (4) If the alteration or addition is such that proceeding immediately with the trial is likely, in the opinion of the Court, to prejudice the accused or the prosecutor as aforesaid, the Court may, either direct a new trial or adjourn the trial for such period as may be necessary. Provided that where the accused person, by an application in writing, so desires and the Magistrate is of opinion that such person is not likely to be prejudiced thereby, the Magistrate may try together all or any number of the charges framed against such person. (2) Nothing in sub-section (1) shall affect the operation of the provisions of Sections 219, 220, 221 and 223. 219. Three offences of same kind within year may be charged together. - (1) When a person is accused of more offences than one of the same kind committed within the space of twelve months from the first to the last of such offences, whether in respect of the same person or not, he may be charged with, and tried at one trial for, any number of them not exceeding three. Provided that, for the purposes of this section, an offence punishable under Section 379 of the Indian Penal Code (45 of 1860) shall be deemed to be an offence of the same kind as an offence punishable under Section 380 of the said Code, and that an offence punishable under any section of the said Code, or of any special or local law, shall be deemed to be an offence of the same kind as an attempt to commit such offence, when such attempt is an offence. 220. Trial for more than one offence. - (1) If, in one series of acts so connected together as to form the same transaction, more offences than one are committed by the same person, he may be charged with, and tried at one trial for, every such offence. (2) When a person charged with one or more offences of criminal breach of trust or dishonest misappropriation of property as provided in sub-section (2) of Section 212 or in sub-section (1) of Section 219, is accused of committing, for the purpose of facilitating or concealing the commission of that offence or those offences, one or more offences of falsification of accounts, he may be charged with, and tried at one trial for, every such offence. (3) If the facts alleged constitute an offence falling within two or more separate definitions of any law in force for the time being by which offences are defined or punished, the person accused of them may be charged with, and tried at one trial for, each of such offences. (4) If several acts, of which one or more than one would by itself or themselves constitute an offence, constitute when combined a different offence, the person accused of them may be charged with, and tried at one trial for the offence constituted by such acts when combined, and for any offence constituted by any one, or more, of such acts. (a) A rescues B, a person in lawful custody, and in so doing cause grievous hurt to C, a constable in whose custody B was. A may be charged with and convicted of, offences under Sections 225 and 333 of the Indian Penal Code (45 of 1860). (b) A commits house-breaking by day with intent to commit adultery, and commits, in the house so entered, adultery with B's wife. A may be separately charged with and convicted of, offences under Sections 454 and 497 of the Indian Penal Code (45 of 1860). (c) A entices B, the wife of C, away from C, with intent to commit adultery with B, and then commits adultery with her. A may be separately charged with, and convicted of, offences under Sections 498 and 497 of the Indian Penal Code (45 of 1860). (d) A has in his possession several seals, knowing them to be counterfeit and intending to use them for the purposes of committing several forgeries punishable under Section 466 of the Indian Penal Code (45 of 1860). A may be separately charged with and convicted of, the possession of each seal under Section 473 of the Indian Penal Code (45 of 1860). (e) With intent to cause injury to B, A institutes a criminal proceeding against him, knowing that there is no just or lawful ground for such proceeding and also falsely accuses B of having committed an offence, knowing that there is no just or lawful ground for such charge. A may be separately charged with, and convicted of, two offences under Section 211 of the Indian Penal Code (45 of 1860). (f) A, with intent to cause injury to B, falsely accuses him of having committed an offence, knowing that there is no just or lawful ground for such charge. On the trial, A gives false evidence against B, intending thereby to cause B to be convicted of a capital offence. A may be separately charged with, and convicted of, offences under Sections 211 and 194 of the Indian Penal Code (45 of 1860). (g) A, with six others, commits the offences of rioting, grievous hurt and assaulting a public servant endeavouring in the discharge of his duty as such to suppress the riot. A may be separately charged with, and convicted of, offences under Sections 147, 325 and 152 of the Indian Penal Code (45 of 1860). (h) A threatens B, C and D at the same time with injury to their persons with intent to cause alarm to them. A may be separately charged with, and convicted of, each of the three offences under Section 506 of the Indian Penal Code (45 of 1860). The separate charges referred to in Illustrations (a) to (h), respectively may be tried at the same time. (i) A wrongfully strikes B with a cane. A may be separately charged with and convicted of, offences under Sections 352 and 323 of the Indian Penal Code (45 of 1860). (j) Several stolen sacks of corn are made over to A and B, who knew that they are stolen property for the purpose of concealing them. A and B thereupon voluntarily assist each other to conceal the sack at the bottom of a grain-pit. A and B may be separately charged with, and convicted of, offences under Sections 411 and 414 of the Indian Penal Code (45 of 1860). (k) A exposes her child with the knowledge that she is thereby likely to cause its death. The child dies in consequence of such exposure. A may be separately charged with, and convicted of, offences under Sections 317 and 304 of the Indian Penal Code (45 of 1860). (l) A dishonestly uses a forged document as genuine evidence, in order to convict B, a public servant, of an offence under Section 167 of the Indian Penal Code (45 of 1860). A may be separately charged with, and convicted of, offences under Sections 471 (read with Section 466) and 196 of that Code. (m) A commits robbery on B, and in doing so voluntarily causes hurt to him. A may be separately charged with, and convicted of, offences under Sections 323, 392 and 394 of the Indian Penal Code (45 of 1860). 221. Where it is doubtful what offence has been committed. - (1) If a single act or series of acts is of such a nature that it is doubtful which of several offences the facts which can be proved will constitute, the accused may be charged with having committed all or any of such offences, and any number of such charges may be tried at once; or he may be charged in the alternative with having committed some one of the said offences. (a) A is accused of an act which may amount to theft, or receiving stolen property, or criminal breach of trust or cheating. He may be charged with theft, receiving stolen property, criminal breach of trust and cheating, or he may be charged with having committed theft, or receiving stolen property or criminal breach of trust or cheating. (b) In the case mentioned, A is only charged with theft. It appears that he committed the offence of criminal breach of trust, or that of receiving stolen goods. He may be convicted of criminal breach of trust or of receiving stolen goods (as the case may be), though he was not charged with such offence. (c) A states on oath before the Magistrate that he saw B hit C with a club. Before the Sessions Court, A states on oath that B never hit C. A may be charged in the alternative and convicted of intentionally giving false evidence, although it cannot be proved which of these contradictory statements was false. 222. When offence proved included in offence charged. - (1) When a person is charged with an offence consisting of several particulars, a combination of some only of which constitutes a complete minor offence, and such combination is proved, but the remaining particulars are not proved, he may be convicted of the minor offence, though he was not charged with it. (2) When a person is charged with an offence and facts are proved which reduce it to minor offence, he may be convicted of the minor offence, although he is not charged with it. (4) Nothing in this section shall be deemed to authorise a conviction of any minor offence where the conditions requisite for the initiation of proceedings in respect of that minor offence have not been satisfied. (a) A is charged under Section 407 of the Indian Penal Code (45 of 1860), with criminal breach of trust in respect of property entrusted to him as a carrier. It appears, that he did commit criminal breach of trust under Section 406 of that Code in respect of the property, but that it was not entrusted to him as a carrier. He may be convicted of criminal breach of trust under the said Section 406. (b) A is charged, under Section 325 of the Indian Penal Code (45 of 1860), with causing grievous hurt. He proves that he acted on grave and sudden provocation. He may be convicted under Section 335 of that Code. Provided that where a number of persons are charged with separate offences and such persons do not fall within any of the categories specified in this section, the [Magistrate or Court of Session] may, if such persons by an application in writing, so desire, and [if he or it is satisfied] that such persons would not be prejudicially affected thereby, and it is expedient so to do, try all such persons together. 224. Withdrawal of remaining charges on conviction on one of several charges. - When a charge containing more heads than one is framed against the same person, and when a conviction has been had for one or more of them, the complainant, or the officer conducting the prosecution, may, with the consent of the Court, withdraw the remaining charge or charges, or the Court of its own accord may stay the inquiry into, or trial of, such charge or charges and such withdrawal shall have the effect of an acquittal on such charge or charges, unless the conviction be set aside, in which case the said Court (subject to the order of the Court setting aside the conviction) may proceed with the inquiry into, or trial of, the charge or charges so withdrawn.